I finally decided that one night of dancing was enough for this guy so I headed out the next day to Pinedale, WY. It was only 72 miles and a short drive was just what I needed. My destination was Half Moon Lake Campground just north of town. 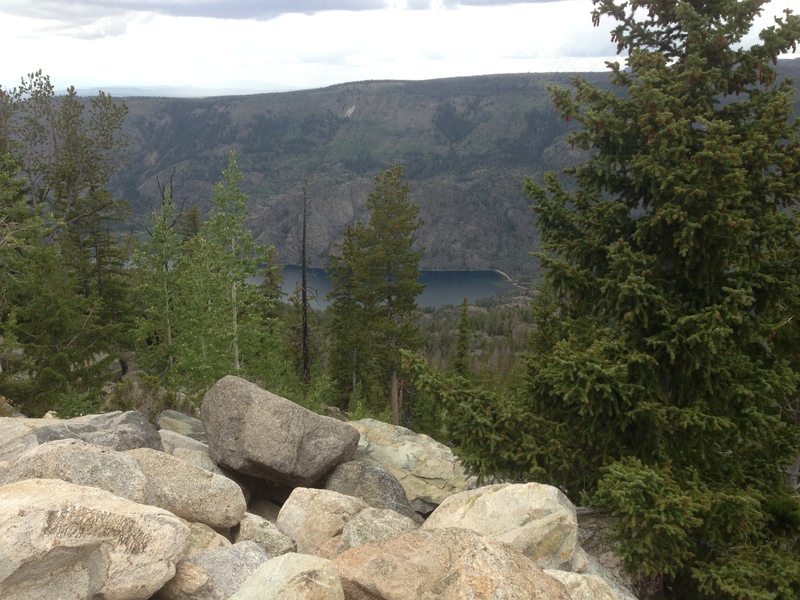 Their is also Fremont Lake campground, but it was closed for reconstruction. The drive up to Half Moon Lake took me through a construction area where they are putting in a new road. After that you drive on a very rough paved road for a couple of miles then a mile down a very narrow washboard gravel road to the campground. At times I wondered if I would regret driving down to this campground. Once I got there I had to locate a site. There are only 18 sites in the campground and there is no water or electric. I drove around twice and finally found a back-in spot. I unhitched the Sami and got settled in. While camped in Pinedale, I decided to check out the Mountain Man Museum. I was really glad I did. 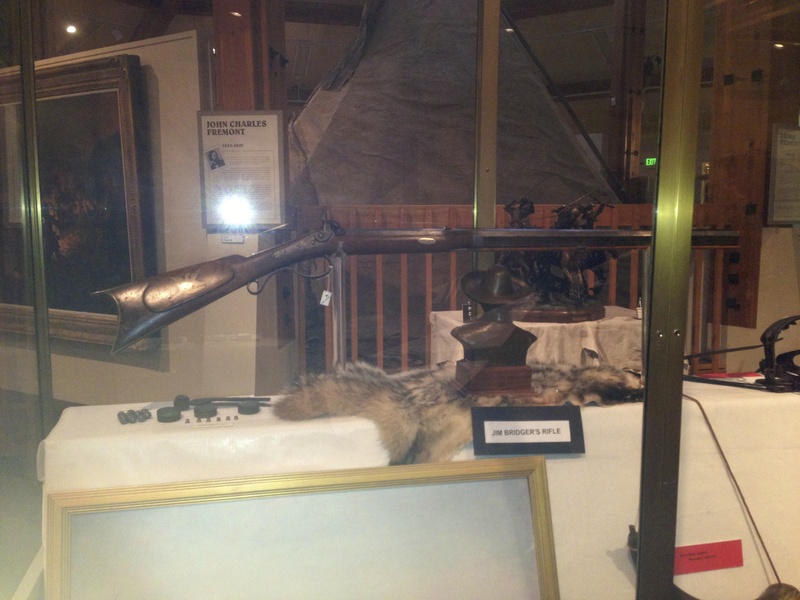 The museum is dedicated to those brave mountain men who spent their lives trapping furs. I hadn’t realized it until now that the mountain men really got their start because the rich men in the eastern portion of the country had to have hats bad of beaver pelts. There was a huge demand for the beaver pelts thus the need for someone to supply them. One of the most famous mountain men was Jim Bridger. This is a pic of his rifle that was on display. 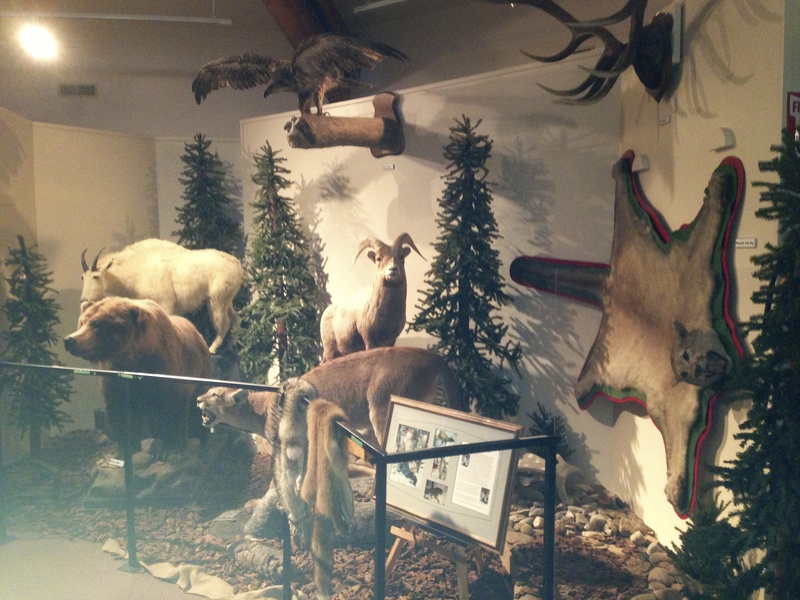 This is a display of all the various animals that the mountain men would confront. They had a very interesting movie and explained how they trapped the beavers and other animals that they would trade for needed supplies. 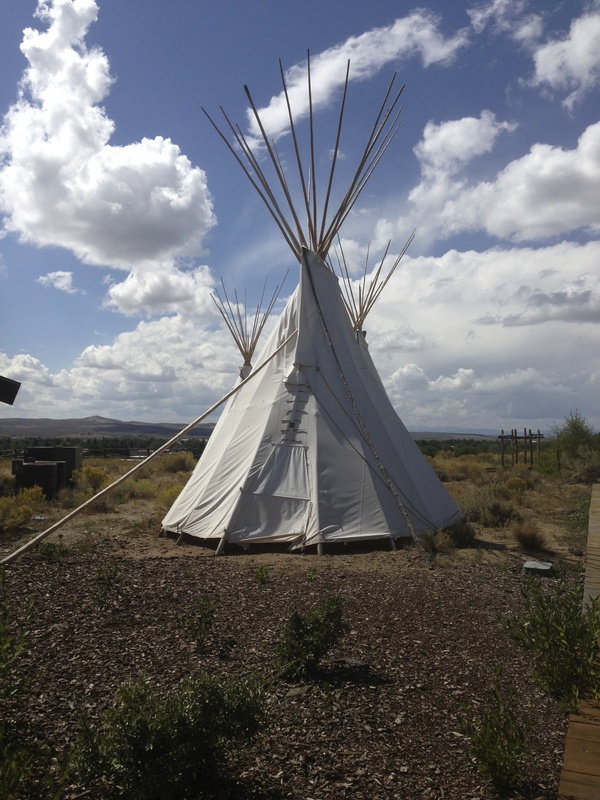 Many of them made their homes in these teepees. The cost of admission to the museum is $5 and $4 for seniors. I would highly recommend visiting it. After visiting the museum I drove past the campground and decided to take a drive through the Bridger Teton National Forest. The paved road is narrow but good in most spots. It just keeps going up and up. I passed the White Pine Ski Area, but did not stop there. I took these pics with my IPhone so they are not the greatest. 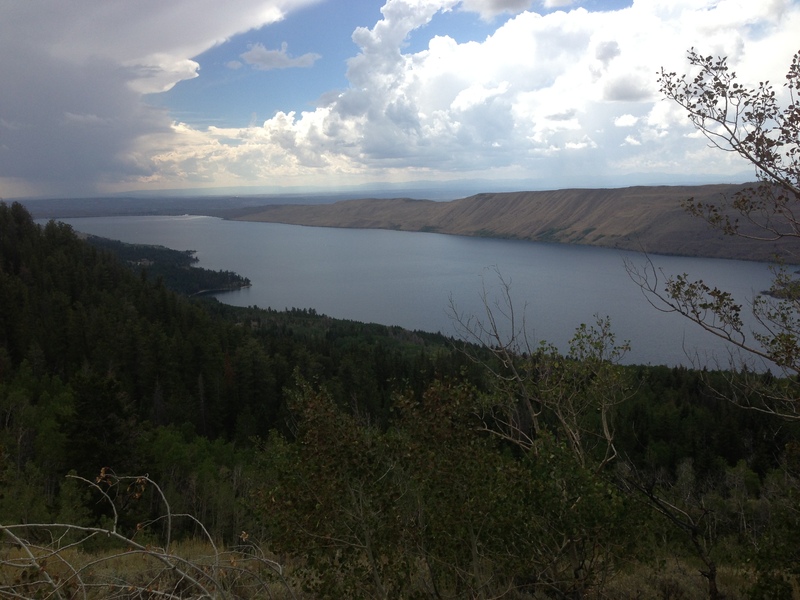 I pulled off the road and took this pic of Half Moon Lake where I am camping on the far right edge of the lake. 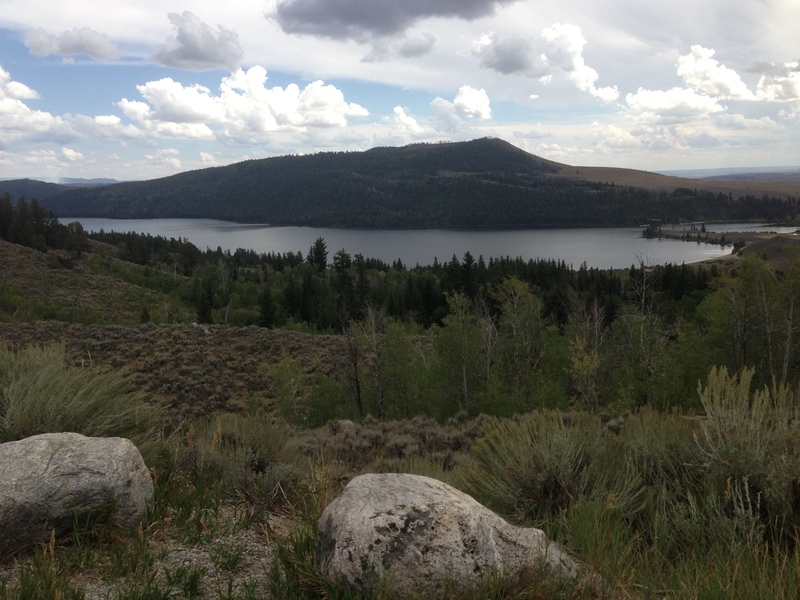 Further up the road I took this pic of Fremont Lake. 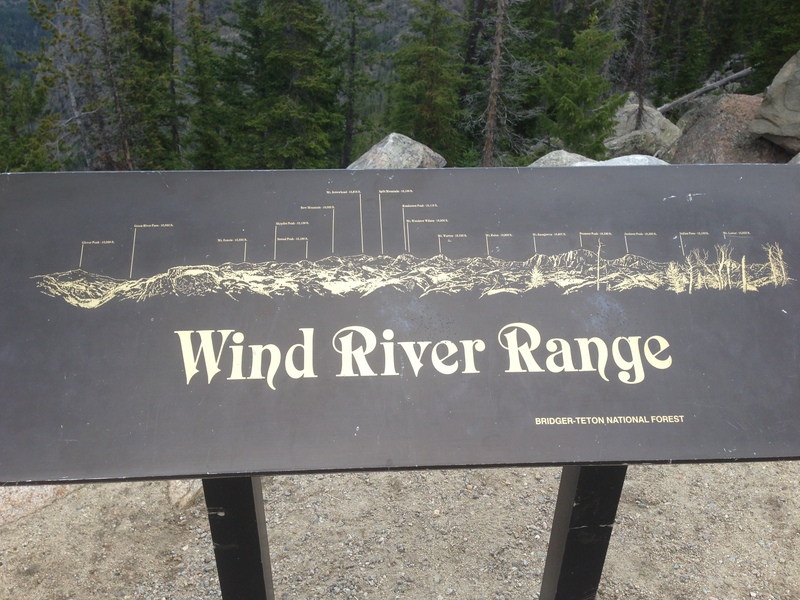 I finally stopped at the Wild River Range and took these pics. It was really beautiful up there. I believe the lake was still part of the Fremont Lake. Then it was back to my home at Half Moon Lake. The campground is very small with only 18 sites. There were a couple of pull through sites but they were already occupied. I was able to find a back-in site that was very narrow, but did give me some solar. The campground is right on the lake and there was a beach where you could swim. They also had a boat ramp and a lodge, but I didn’t get to either while I was there. The main problem was getting there. At first you are driving on a rough road although paved. Then it turns into a gravel washboard road for about 2 miles. Not the easiest access but it is doable if you want to camp on the lake. I would suggest coming in here on a Thursday and you might be able to get a good spot. There is also a lodge up the road where you can dine, but I am not one to eat out very often. Now I am on my way to Rock Springs to pick up a prescription at Walmart and other supplies as well. This entry was posted in Half Moon Campground, Mountain Man Museum, Pinedale, Wyoming and tagged Half Moon Campground, Mountain Man Museum, Pinedale, Wyoming by Jim Melvin. Bookmark the permalink. Well, birthday boy, I am certain that you could “ride the saddle” again if you so chose, but alas logic won out. So be it. Enjoy your day. The Iphone took a pretty decent photo. Between Pinedale and Rock Springs there is a restaurant right at the main intersection in Farson. They serve a great breakfast. 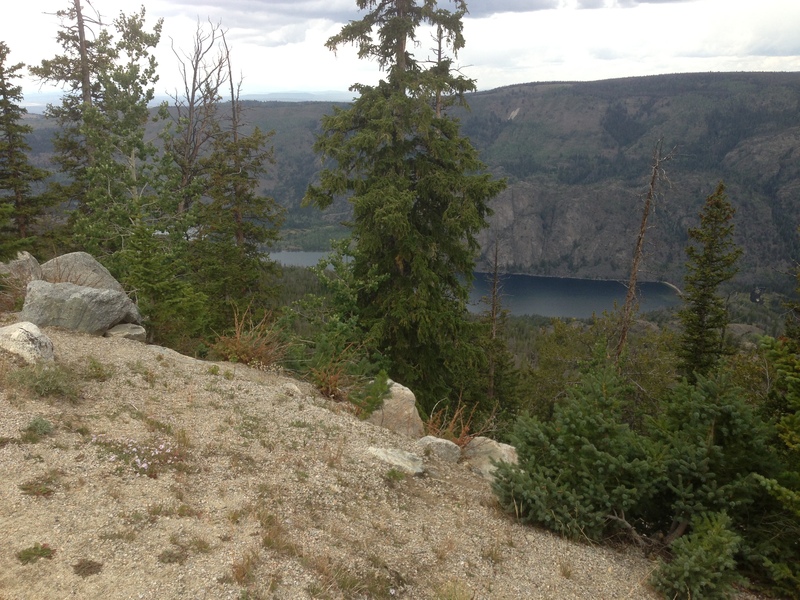 We’ve stopped there several times when leaving the Jackson Hole area. 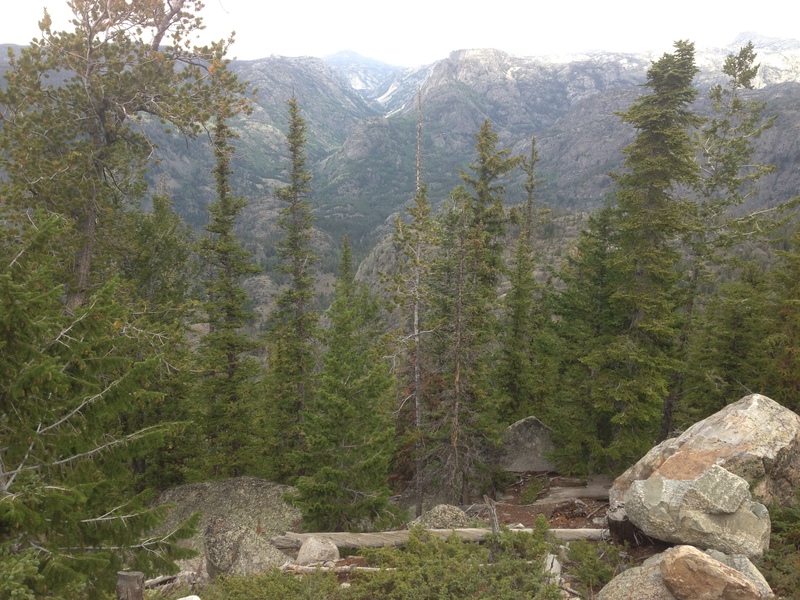 We love the area around Pinedale. Beautiful drive! That was probably Mitch’s Café where I stopped on August 3, 2011. Everything on the menu was quite pricey but they do serve up a huge platter of food for the price. I could have split mine and been satisfied. Did I split it – No, I ate the whole thing. Sometimes I’m not sure it’s worth it to try and get to some of those campgrounds down those washboard roads. That would be a fun museum to see.